FarEye, a logistics management firm in the software-as-a-service (SaaS) domain, on Wednesday announced the acquisition of Internet of Things-powered freight logistics marketplace Dipper for an undisclosed amount. In a statement, Delhi-based FarEye said that the acquisition of Dipper reinforced its growth plans to solve challenges for long-haul and multi-modal logistics. 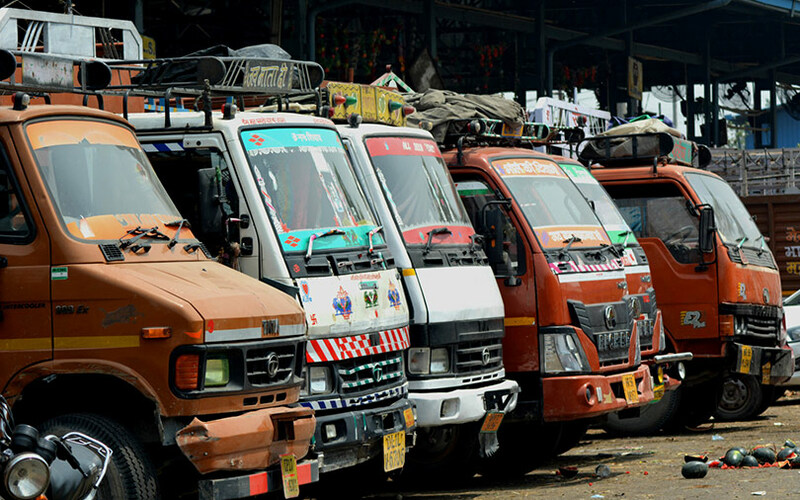 Founded in 2013 by Nahata, Gautam Kumar and Gaurav Srivastava, FarEye offers a flagship logistics management software which it says helps the entire supply chain, from first-mile seller pick-ups to last-mile delivery. Apart from this, the company’s tech-based solutions cater to salesforce automation and field workforce management. Dipper’s chief executive officer Suryansh Jalan told TechCircle that his entire team will be joining FarEye while its customers and products will be migrated as well. The company serves the long-haul (inter-city) market. It provides a technology platform, enabled with Internet of Things (IoT) devices including sensors, tracking devices and electronic consignment notes. Run by Dipper Technologies Pvt. ltd, Dipper was co-founded by Jalan and Ayush Syal in September 2015. Jalan is an alumni of National Institute of Technology-Tiruchirappalli and has worked with Caterpillar Inc. in the past as a supply chain and logistics engineer. Syal is a graduate of Indian Institute of Technology-Guwahati and previously worked with Amazon as a reverse logistics software development engineer. A number of startups in the broader logistics-tech space have raised funding in the recent past. Last month, Zinka Logistics Solutions Pvt. Ltd, which operates business-to-business tech-enabled logistics startup BlackBuck, raised Rs 202.96 crore ($27.4 million at current exchange rates) from new and existing investors. Before that, Pune-based Ntex Transportation Services Pvt. Ltd, which runs logistics startup ElasticRun, raised close to Rs 60 crore ($8 million) from existing investors Norwest Venture Partners and Kalaari Capital. In August, Kedaara Capital-backed third-party logistics (3PL) solution provider Mahindra Logistics Ltd invested Rs 7 crore (about $1 million) in freight management solution startup ShipX.